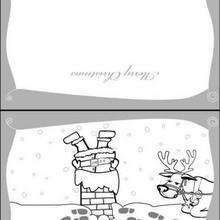 The tradition of sending Christmas cards in America began in 1843. 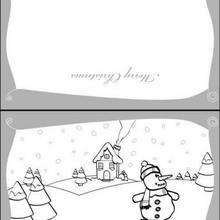 Since then, it has become one of the biggest traditions of the Christmas holiday. 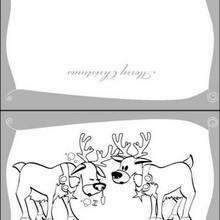 Sending Christmas cards is a way to let others know how you are doing or just to let friends and family know you are thinking of them during the holiday season. 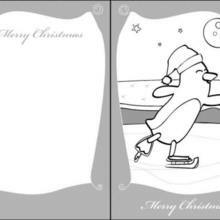 The cards are displayed around the house to remember your thoughtful words and holiday wishes over the Christmas season. 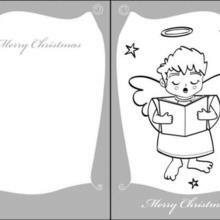 Sending out Christmas cards is easy and a fun activity for kids to do during this joyful part of the year. 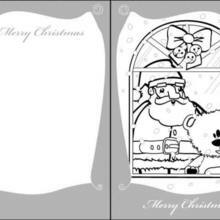 Hellokids is pleased to present to you this merry collection of Christmas greeting cards: Angel, [Reindeer], Penguin, [Santa Claus], Snowman and other [Christmas] or winter themed designs. 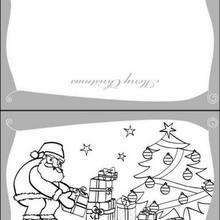 Click on a picture below to print out your favorite Christmas card to color with your bright and cheerful Christams crayons, markers or paints to give to those you hold near and dear. 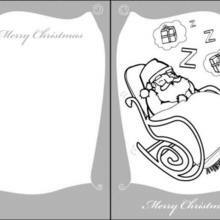 You can also color your design online with the interactive coloring machine. 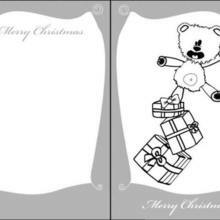 Discover more fun holiday stationery from Hellokids. Enjoy !